The GCC’s FinTech sector, supported by an evolving regulatory environment and government-led initiatives, will play a crucial role in driving innovation in the region’s business landscape, said accountancy and finance body ICAEW. ICAEW’s Corporate Finance Faculty roundtable was recently held at the Capital Club in the Dubai International Financial Centre (DIFC), in association with award-winning data room provider Drooms. Following an introduction by Andrew Tarbuck, partner and head of Equity Capital Markets, Al Tamimi, panellists and invited guests discussed how innovative financial technology is being adopted by the GCC business landscape and the development of a regulatory framework around it. Panellists agreed that cutting edge technologies are emerging at a fast pace in the GCC, ramping up accessibility to financial services as businesses look for ways to embrace digital transformation and become more efficient. “Our virtual data rooms, with integrated machine learning software, assist firms on a daily basis to massively boost the efficiency of their due diligence. For the practical improvement of due diligence processes in the Middle East, we have included Arabic to English document translation to the tool. Technological innovation will most certainly continue to disrupt the financial services industry, revolutionising systems and processes, and remaining a major driver for deal-making,” Grellier added. Speakers agreed that it is normal for technology to arrive faster than regulation and those GCC governments have proven their commitment to developing sound regulation as fast as they can, while not stifling innovation potential. Speakers emphasised that the regulatory ecosystem is still a work in progress, but there is willingness on the regulatory side to adapt to new business models and to the pace of startups. Panellists agreed that regulatory sandboxes developed by governments across the GCC have contributed greatly to the acceleration of the development of FinTech in the region. Regulatory sandboxes have now been set-up by the DIFC, Abu Dhabi Global Market (ADGM), Bahrain Central Bank, and the Saudi Arabian Monetary Authority (SAMA), allowing governments to test and adopt innovative FinTech products and services while developing regulation that keeps up with the fast pace of innovation. DIFC’s regulatory sandbox run by the Dubai Financial Services Authority (DFSA), allows firms to apply for a financial services licence referred to as an Innovation Testing Licence (ITL). Sarwa, an online financial robo-advisory platform that offers low-cost investment solutions, is the first firm to be granted an ITL. The business has brought an exciting financial solution to society as it aims to democratize investing in the region. Panellists applauded the various pro-FinTech government initiatives that are driving innovation across the GCC. Among them are FinTech Hive - the region's first and biggest FinTech accelerator and hub at DIFC; Bahrain’s FinTech Bay; Fintech Saudi; and the Emirates Blockchain Strategy, which supports the UAE's plans to become a world leader in adopting the technology. 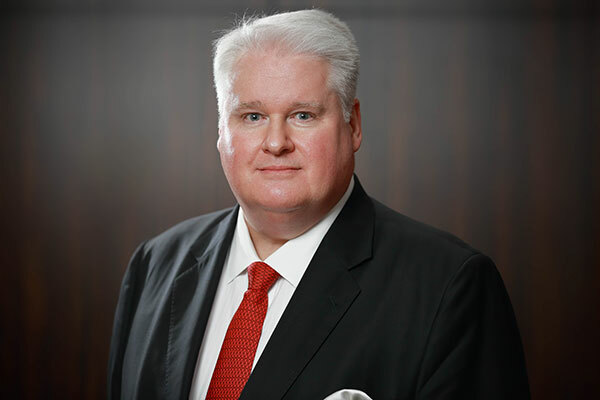 Michael Armstrong, FCA and ICAEW regional director for the Middle East, Africa and South Asia (MEASA), said: “As GCC nations embrace the opportunities presented by FinTech, the emerging sector will play a crucial role in the development of the region’s future financial landscape.